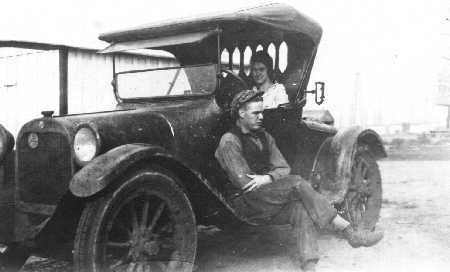 1919 Photo of Chann Rubel sitting on running board. Mrs. Rubel seated in the drivers seat. Anyone know make and model of that car? Location, Burkburnett Texas, or close by.